GENEVA, Switzerland — Liberia has its work cut out when it comes to tackling the many challenges facing the cocoa sector. But the benefits will be worth the effort, and the Government and stakeholders say they are prepared to do what it takes to address some of these challenges.That was the overarching message conveyed during a recent workshop in Monrovia that brought together more than three dozen policymakers, exporters and representatives of cocoa farmers and development organizations. The 10 October event on ‘Cocoa Value Chain Development in Liberia’ was designed to collect information about the needs and potential of the sector. Participants discussed four areas where improvements could be made to support the cocoa value chain – creating an enabling policy environment, strengthening trade and investment-support institutions (TISIs), building the capacity of small and medium-sized enterprises, and expanding trade linkages – and made suggestions on how this might be done. The workshop was part of the Netherlands Trust Fund IV (NTF IV) Mano River Union project, which is based on a partnership between the International Trade Centre (ITC) and the Dutch Centre for the Promotion of Imports from Developing Countries (CBI). The project seeks to boost cocoa value chain development and competitiveness in Sierra Leone, Liberia and Guinea. 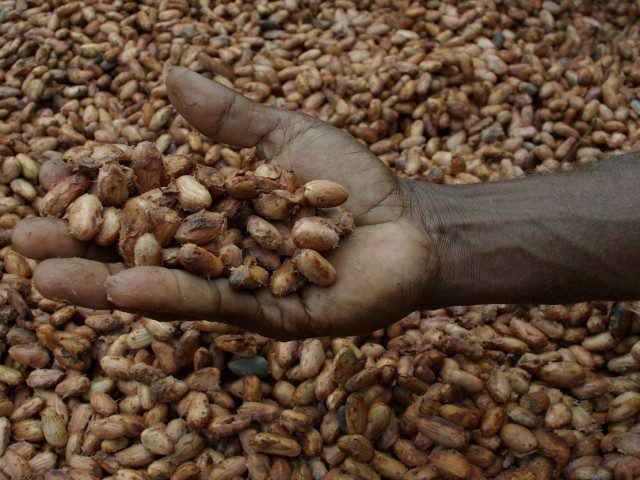 Weak internal structures plague the cocoa sector, according to Suliman Kamara, executive director at the Liberia Agriculture and Asset Development Company. The country also faces compliance and reputational risks because it lacks policy regimes to ensure that standards on product quality and other areas are enforced, he said. Kamara recommended accelerating reforms and building the capacity of regulatory agencies, policymaking institutions and research institutions, as well as improving coordination and networking between the government and donor agencies. Many ‘private interventions’ in the sector have focused on training, market linkages and the development of SMEs in the cocoa value chain, Titoe said. State initiatives, in addition to regular tax waivers on agricultural equipment, include projects to build and renovate roads and warehouses, and to broaden the capacity of farmer cooperatives, he said. ‘The Government is considering the revamping of the Agriculture Cooperative Development Bank to lend to farmers and SMEs, since it is difficult and costly to obtain credit from commercial banks,’ Titoe said, adding that his ministry planned to launch a new cocoa sector revitalization policy next year geared towards rehabilitation, pre- and post-harvest technologies, feeder roads and warehouses. All that and more will be needed to rejuvenate the Liberian cocoa sector, however. Many of the suggestions made at the workshop on how to support TISIs, build the capacity of SMEs and expand trade linkages align with the plans that Titoe described. They also would fulfil some of the activities proposed to create a more enabling policy environment – though it may prove trickier to carry out some of the other recommendations in this area.